Equifax Breach May Still Be a Threat | The Consumer Law Group, P.C. In July of 2017, the credit reporting agency Equifax suffered the biggest data breach in U.S. history when hackers were able to access the Social Security numbers and other personal data of 143 million Americans—half the population. Whether you took action when you learned of the breach when it was announced in September or not, your data may still be vulnerable and you may want to consider taking some steps now to protect yourself and your personal financial information. Being aware of potential scams. Trying to take advantage of nervous and vulnerable people, new scam artists have emerged. Posing as Equifax employees, these crooks call people and ask for personal information to verify records. Don’t fall for it. Never give personal information to someone who calls you. Avoiding robocalls. Fraudsters are also using robocall technology to reach more people, offering “protection” to consumers whose data was breached. Remember that robocallers often mask their phone numbers to make it look like a number you recognize. Scrutinize your statements. You can sign up for various fraud protection services, but nothing beats being vigilant yourself. Review credit reports and credit card statements each month—even small charges can be warning signs. Change all your passwords. It is a simple but effective step to give you an added measure of protection. Use secure passwords for bank accounts, credit card accounts, and other important sites and change them every 30-60 days. Freeze your account. If you think something is suspicious, you can "freeze" your credit report which will prevent landlords, employers, etc. from accessing your credit report in response to a credit application. 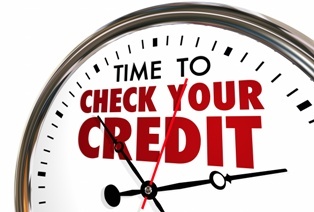 It will stay on your credit report until you contact the 3 credit bureaus to temporarily lift or remove it. The Consumer Law Group, P.C. is dedicated to keeping our clients and neighbors safe from identity theft and fraud. Feel free to browse our website for more helpful information on cyber security and the Fair Credit Reporting Act.